After a 10-year-long wait, the Italian presidency of the UN Security Council began. It is a historic event, where our wine also played a key role. 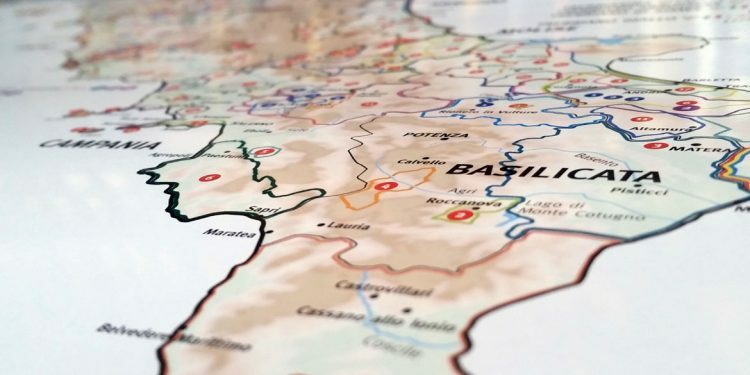 The ambassador Sebastiano Cardi (permanent Italian representative at the UN) gave the members of the Security Council a selection of fine Italian wines, a Bormioli decanter and (we are proud of this) Civiltà del bere’s wine map. The choice of wine as Italy’s business card to the UN Security Council further confirms the importance of the sector for our country. The selection of producers and wines as some of the icons of Italian products in the world, was made by the president of the Italian Wine & Food Institute in New York, Lucio Caputo. The aim was to “give the best possible image of Italian wine and to represent the main production areas in the country, together with the most important appellations and wine types,” explained the IWFI. 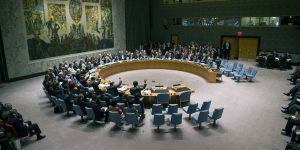 Together with our wine map of Italian DOCs and DOCGs (our historic publishing product which pinpoints all of Italy’s appellations on a poster) the members of the Security Council received certain special vintages of fine Italian red wines for laying down. These wines have very distinct sensory characteristics and come from Italy’s most famous production areas. They are ambassadors of Italian wine at the UN. 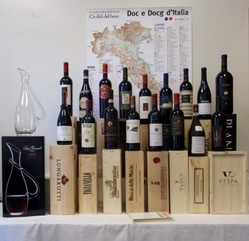 Here are the wines, in alphabetical order of producer: Turriga, Isola dei Nuraghi Igt 2013 Argiolas; Amarone della Valpolicella Classico Doc 2007 Bertani; Schidione, Toscana Igt 2010 Biondi Santi; La Corte, Colli della Toscana Centrale Igt 2007 Castello di Querceto; Brunello di Montalcino Docg 2012 Col d’Orcia; Mille e una Notte 2012 Donnafugata; Barolo Serralunga d’Alba Docg 2013 Fontanafredda; Barbaresco Docg 2013 Gaja; Rubesco Vigna Monticchio, Torgiano Rosso Riserva Docg 2009 Lungarotti; Tignanello, Toscana Igt 2014 Marchesi Antinori; Naturalis Historia, Taurasi Docg 2009 Mastroberardino; Santa Cecilia, Noto Doc 2010 Planeta; Riserva di Fizzano Gran Selezione, Chianti Classico Riserva Docg 2013 Rocca delle Macìe; Marchese di Villamarina Doc 2010 Sella & Mosca; Rosso del Conte Doc 2012 Tasca d’Almerita; Gattinara Riserva Docg 2011 Travaglini; Raccontami, Primitivo di Manduria Doc 2014 Vespa Vignaioli per Passione.